In my last post, I wrote about my experiences visiting and hiking in Jackson, WY and Salt Lake City. Well, after spending time in Northern Utah, my brother and I decided to drive south towards Moab. I had heard good things about the town, as well as heard that there’s really good hiking and sightseeing. The drive to Moab was very scenic and had landscapes that I’d never seen before with my own eyes. The horizon turned red and soon steep cliffs with layered plateaus filled our car windows. The most beautiful part of our drive that day was entering Moab. The city itself is flanked by two world renowned national parks. Since there was so much to do around the city, we decided to stay for two nights. And if you were curious where we slept, we stayed at the Lazy Lizard Hostel and I’d say it was a very characteristic hostel. Simple rooms, quirky people, cozy public spaces, and a communal kitchen. There’s a nomad gentlemen who has been staying at the hostel for awhile and through donations he cooks breakfast and dinner for the guests. What a nice service! We woke up early the next morning to beat the afternoon heat. After breakfast, our first stop for the day was Arches National Park. (As a side note, I purchased a National Parks Pass, which is a VERY good investment if you plan on visiting a bunch of national parks in a year). 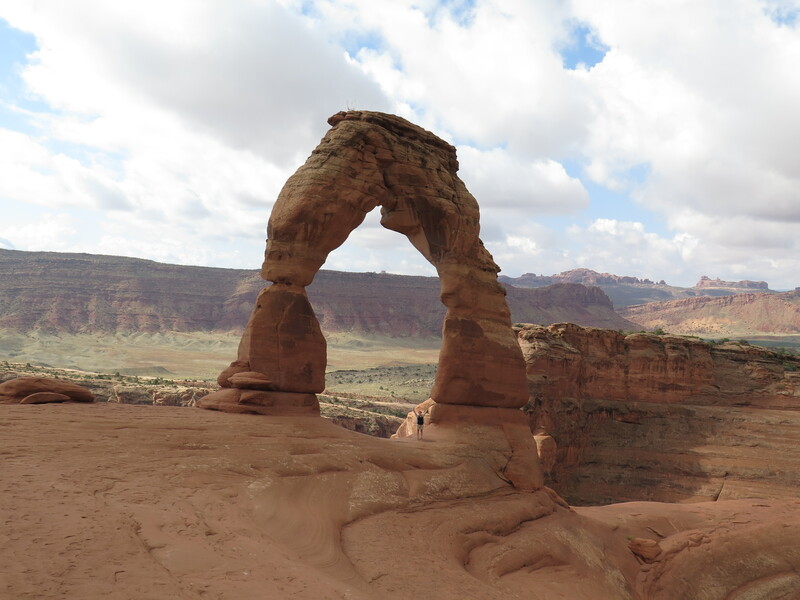 I had heard of the famous Delicate Arch and decided to have that as our first hike for the day. In total, it is a 3 mile hike and can be very strenuous if you hike it midday, since most of the trail is sun exposed. Jamie and I packed a bunch of water and started our hike up the red rock. Even 15 minutes in, I was impressed by the views all around me. 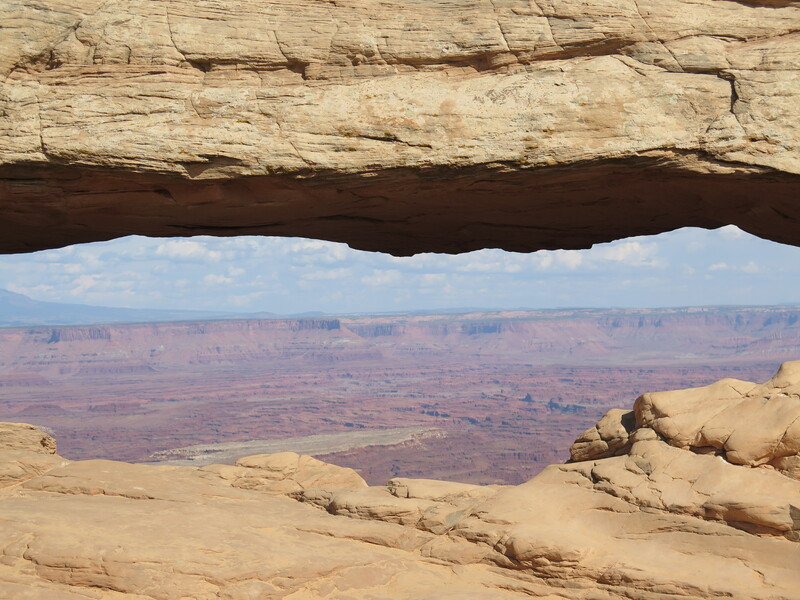 You could see arches in the distance and red cliffs domineering the landscape. Most of the hike was uphill and the signs weren’t kidding, most of it was exposed to the sun. Luckily, we hiked early in the morning, but it was still a wee bit hot. Eventually the trail leveled out and it became evident that we were getting closer to the arch. After another 20-30 minutes of maneuvering simple rock scrambles and walking across slick rock, we reached a trail that had sheer cliffs to our left. The trail was pretty wide, but it was a little unnerving, especially since some of the other hikers clogged against the inner wall. But, it was all worth it when you curved around the bend to find Delicate Arch in the horizon. Jamie and I spent a moment appreciating it from afar, but soon enough I was hiking down the rock to get a closer look (and an epic picture…). After getting our tourist shot of us under the rock, we then sat along the edge of the amphitheater, embracing our surroundings. Overall, the hike was a little hot, but the views of Delicate Arch and the surrounding red cliffs were absolutely worth the 3 mile hike. 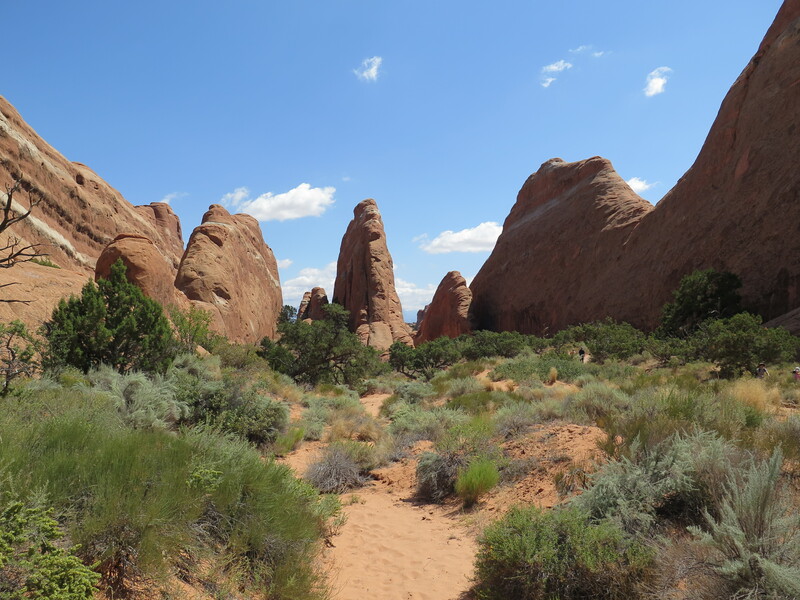 We decided to drive the rest of the Arches loop so we could hike around Devil’s Garden. We stopped at random vista points and hiking trails along the way, even finding ourselves squishing between a narrow trail between two rocks just outside of Devil’s Furnace. This park was so much fun to explore and is a must-see if you’re nearby! 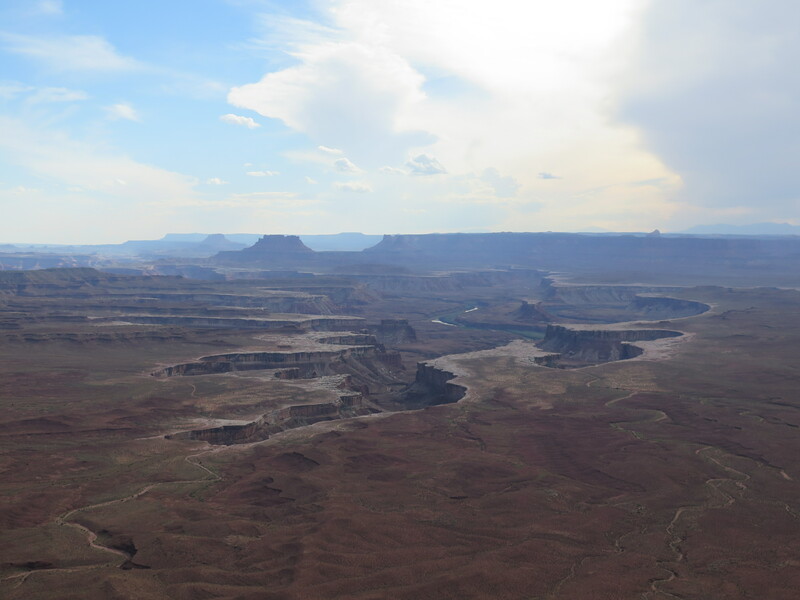 After Arches, Jamie and I drove north to the entrance of Canyonlands National Park – Island in the Sky. We were pretty pooped from our hiking earlier in the day, so we decided to take it easy and to only check out the vistas. And we weren’t disappointed. The views from Grand View were absolutely stunning. The name says it all, the park is pretty much a canyon within a canyon within a canyon, which results in a dramatic view. We were also there during sunset and you couldn’t of asked for a better time of day. We drove around the whole park, getting all the different viewpoints and perspectives we could get. 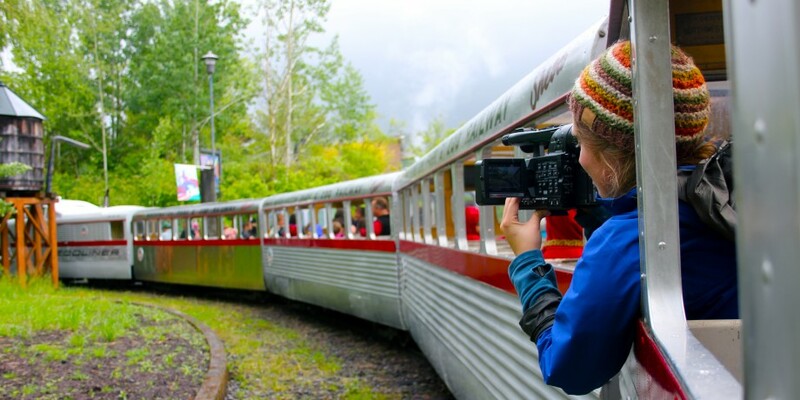 Each spot had its own special kodak moment and we made sure to document each one. 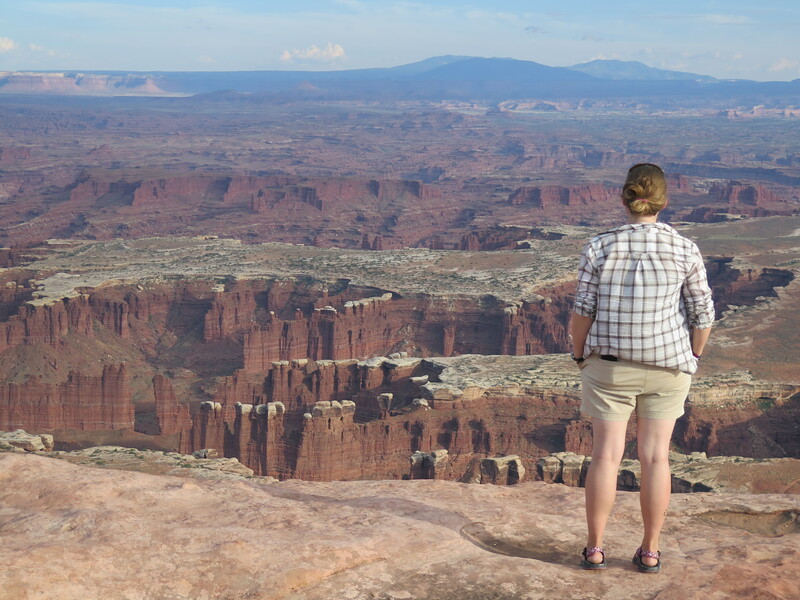 The next day, Jamie and I said goodbye to Moab and set off towards White House State Park. 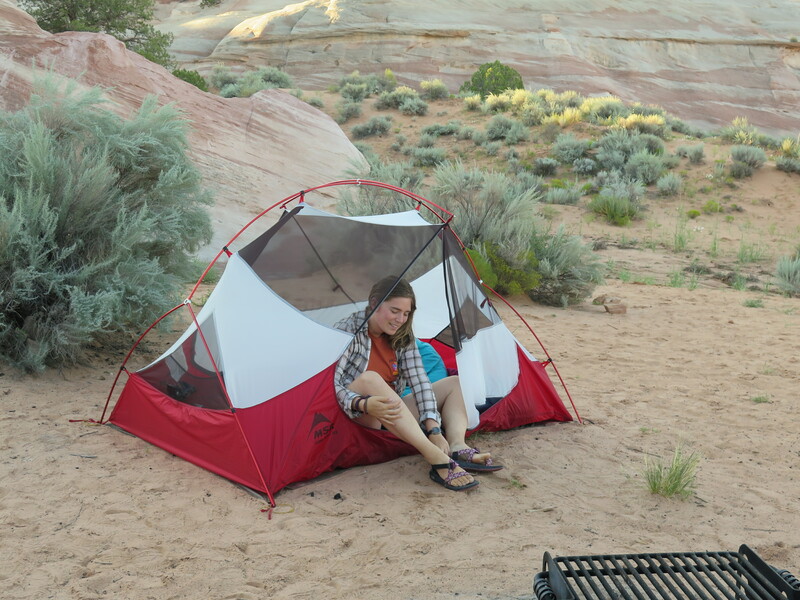 We planned to camp there that evening, since it was one of the closest campgrounds to Zion National Park. But, before reaching our destination, I wanted to stop by the mysterious Newspaper Rock. 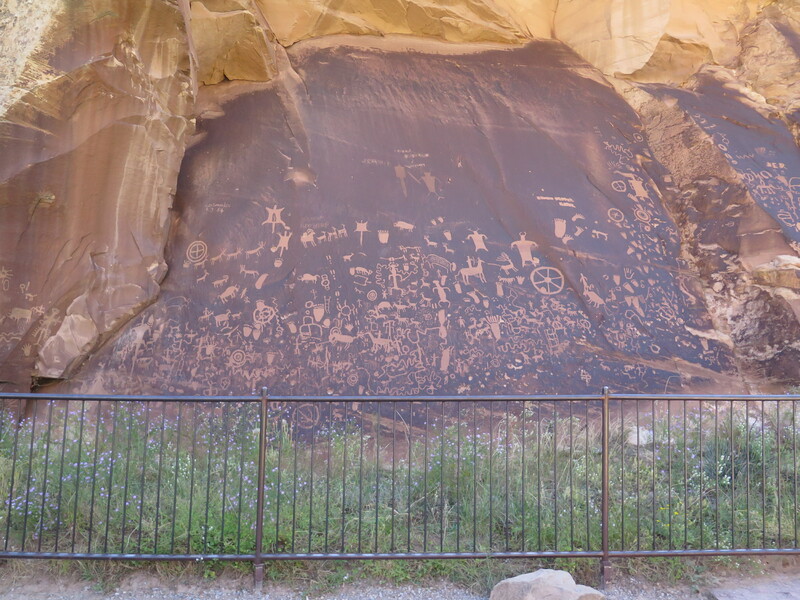 Newspaper Rock is a rock panel that has one of the largest known collections of petroglyphs. I had read about it months ago and when I found out I was really close to it while in Moab, I decided that my brother and I had to check it out. 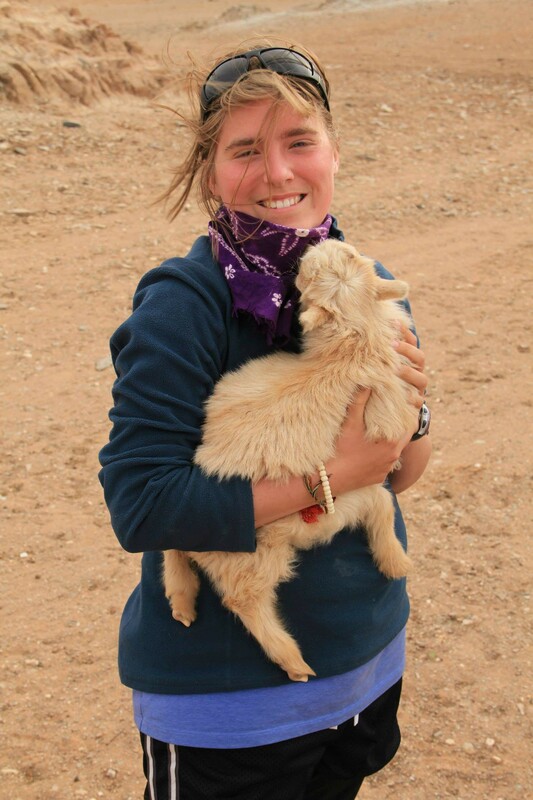 It is believed that some of the carving are traced back to the Pueblo people, dating as far back at 100 B.C. There are etchings that are more recent from the Ute people, who still live in the region. Also, there are a handful of cursive signatures carved into the rock from European settlers from the late 1800s. It was really cool looking close at the petroglyphs. There were lots of horses, bighorns, people with weapons, and even demons etched into the slab. Newspaper Rock is off a main road towards the Needles region of Canyonlands National Park, so if you’re in the area, you’d better not miss it! After a long drive, passing by notable places such as Lake Powell and the famous 4 Corners, we made it to White House Campground. The signs said it was named “White House” because back when the pioneers first settled in the area, they believed the water from the lake was so good that it was comparable to what the president drank. I really liked this campground. It was clean, isolated, and had beautiful views. Jamie and I made a fire and played ukulele till the stars came out. What a perfect place to crash after a long day of driving. Thanks for reading! 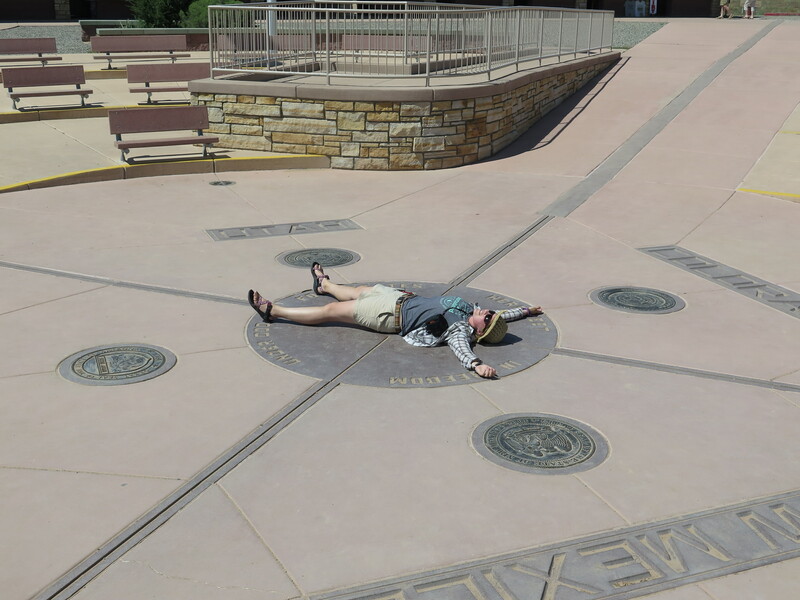 My next post will be about Zion National Park and finding dinosaur tracks. 4 Corners. To be honest, it wasn’t that great, but glad I still saw it.